Cook pasta just under al dente. Leave a ¼ cup of cooking water in pot, drain the pasta and put aside. A good drizzle of oil, add garlic, dried chilli and squeeze tomatoes into a pan on medium heat. Stir through making sure garlic doesn’t burn. Cook until you have a nice sauce. 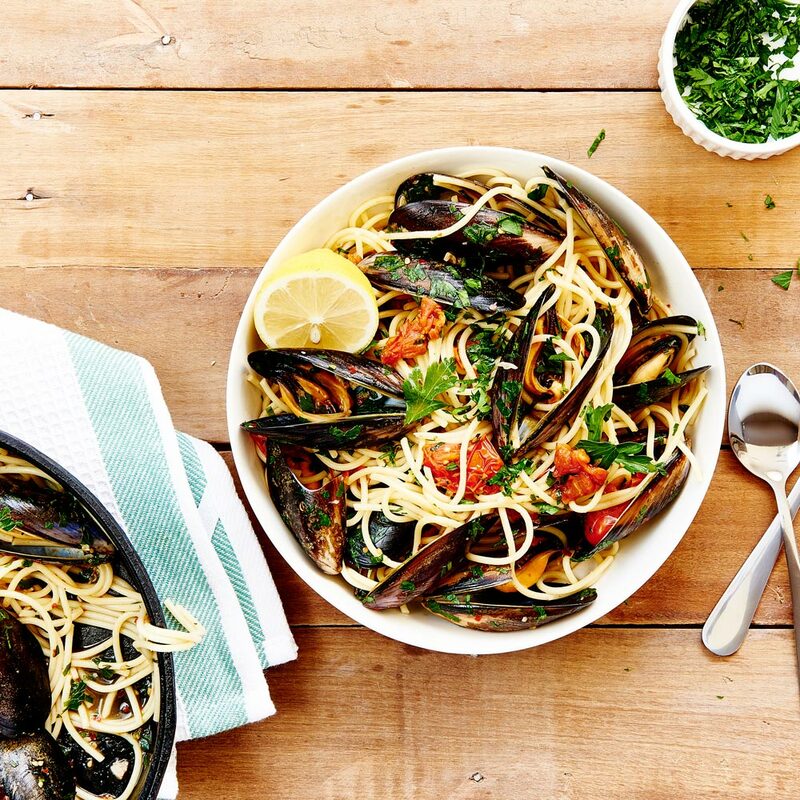 Add mussels to pan (if any are already open discard). Give them a quick stir then place the lid on pan and cook until all shells are open. As usual with mussels, if any are still closed after cooking, discard. Add parsley to pan and stir through. Add sauce to pasta, stir through and cook for a minute or two. Serve with cracked pepper and a good squeeze of lemon.